In the recently held Shanghai Mini Life Exposition, Penda and MINI LIVING joined hands to create a different kind of way to create living arrangements that can be easily assembled and disassembled. 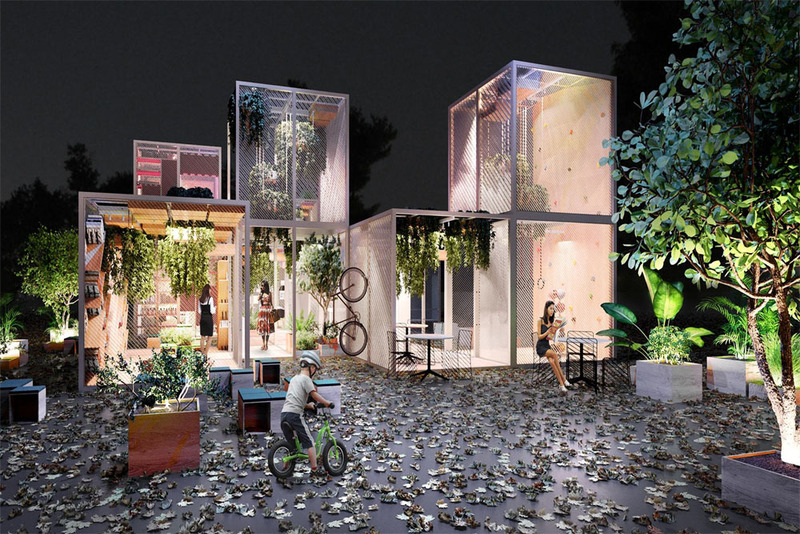 Urban Nest are 3×3 cubic modules that users can put together depending on their tastes. Urban Nest consists of 26 different modules. Each module is made of two pre-manufactured factory parts, making it easy to assemble. The modules represent different living space requirements like the dining room, bedroom reading room, kitchen, living room and etc. Users have total freedom as to how they want their living arrangements to look. Do note that all modules have spaces reserved for plants and solar panels on top of it. This is geared towards MINI LIVING’s goal of a self-supported lifestyle in the future. Apart from the flexibility, Urban Nest also has sustainability in mind. All modules are made from recyclable metal that can later be used again as construction materials.